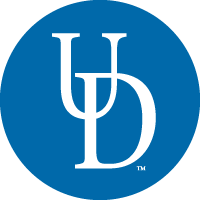 The University of Delaware is a state-assisted, privately governed institution with a strong tradition of distinguished scholarship, research, teaching and service. It is grounded in a commitment to increasing and disseminating scientific, humanistic and social knowledge for the benefit of the larger society. UD is one of the nation’s oldest universities, beginning as a small private academy in 1743 and receiving its charter from the state in 1833. Three of its original 10 students went on to sign the Declaration of Independence. Today UD is a Land Grant, Sea Grant and Space Grant institution that the Carnegie Foundation for the Advancement of Teaching classifies as having “very high research activity”—a designation accorded to fewer than 3 percent of U.S. colleges and universities. Its main campus is located between New York City and Washington, D.C., in the town of Newark.